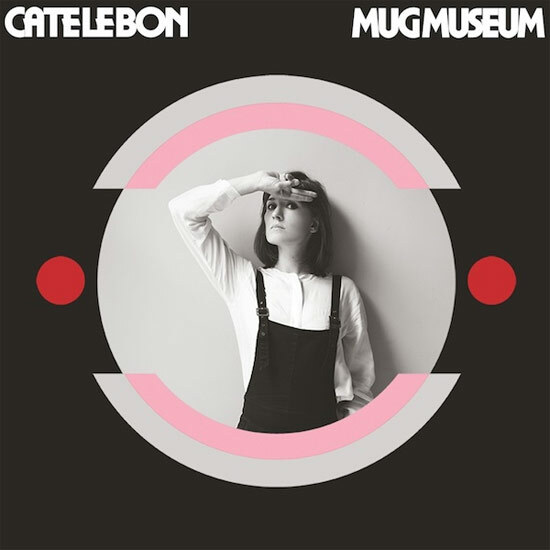 For those of you who are familiar with classic BBC children’s television programmes from the 1970s, the guitar work on Cate Le Bon’s Mug Museum might remind them of the timeless landscape of Trumptonshire. Lying at the core of her new album, the interplay of these simple melodies combines to produce a music box complexity that clicks and shifts direction, calling to mind childhood memories and, perhaps, the comfort of established and familiar order. For the uninitiated, Trumptonshire is the fictional bucolic county in which the towns of Chigley, Trumpton and Camberwick Green were located. The essential subtext for the Trumptonshire trilogy was the encroachment of modernity and modern ways on the rural idyl. Each town had its own series, and, like fly on the wall documentaries for felt and foam puppets, it followed the daily lives of the people who lived there. For example, in Camberwick Green, there was the laid back and possibly alcoholic, cider drinking, farmer-come-windmill owner, Windy Miller, who was subtly at logger heads with the go ahead farmer Jonathan Bell and his modern mechanical farm. An important component of many childhoods in the UK, Trumpton, Chigley and Camberwick Green were reassuring for children whilst never becoming saccharine: there was always the threat of unwanted change on the horizon. Every character had their own song, sung by the legendary Brian Cant, that detailed either their personality or daily job of work. On “Mug Museum”, this circular and childhood musical sound is complimented by a variety of other musical influences, all reinterpreted and deployed with imagination. There is some Beefheart and a dash of The Velvet Underground, such as on the twangy chaotic guitar, side drum beat driven and empty spaces of “Cuckoo Through The Walls”. You might even find a sprinkle of Japanese musical phrasing, as in the track “Duke”. There is also the laid back anthem that is “Are You With Me Now?”, which recalls Bob Dylan in its rousing chorus. Throughout the album, Le Bon’s vocals tread a nuanced line. Sometimes recalling the American country singer Skeeter Davis and Sonja Kristina Linwood of the British prog rock band Curved Air. I am particularly reminded of Linwood’s vocals on the excellent “No God”, with its falling melody that is set against stepped chord changes. Combined, the Trumptonshire-Beefheart-Davis-Linwood elements deliver a sound that is both naive and worldly, fleet of foot and weary. Stylistically this album draws heavily on the balladesque songs of the late 1960s. This is never more apparent than in the ode to love sadly faded that is “I Think I Knew”. Sung as a duet with Mike Hadreas, the Perfume Genius, it has a poignancy and pathos that is heart rending and tragically blissful. Elsewhere on the album, such as in the opening track “I Can’t Help You”, the tension that exists between the catchy and the almost clockwork kickback melodic phrasing, makes for a music that is beguiling in its subtle and pensive melancholy. Alongside the rinky-dinky guitar are toy-box drum sounds, over which Le Bon’s doleful voice operates with the careful restraint of one caught by private grief. The songs, written in the aftermath of the death of Le Bon’s maternal grandmother, are informed by the self-reflection that such shifts in family hierarchies can cause. More expressly, we are told that the album’s themes emerge from and revolve around those maternal familial relationships. These personal and reflective compositions, written in Le Bon’s native Wales, have been shot through with bolts of Californian sunshine courtesy of Seahorse Sound Studios, Los Angeles, where the album was recorded under the watchful eye of producers Noah Georgeson and Josiah Steinbrick. Georgeson is probably best known for his work with Drag City artists Joanna Newsom and Devendra Banhart. With an ensemble of friends from both sides of the Atlantic to help realise her vision for these songs, this thoughtful album skims the surface of the ruminative post-passing depths that drove the songwriting process, without descending into self-indulgence. Le Bon offers us a musical exploration of delicate and difficult themes, harnessing an acute and insightful awareness of how different musical approaches and techniques can aid the artist in their quest for truth. Whether it is the skilled evocation of the music of childhood memory, or the thaumaturgal gifts necessary to conjure forth authentic but original applications of the balladeer’s art of the 1960s, Cate Le Bon and her cast of transatlantic friends have produced an album that is intelligent, surprising and full of wit and charm. An ostensibly simple album, built around a basic band set up of guitars, bass, drums and vocals, Mug Museum is a fine collection of well-written and carefully crafted songs that will appeal to anyone who enjoys music that offers personal insights whilst being listenable.